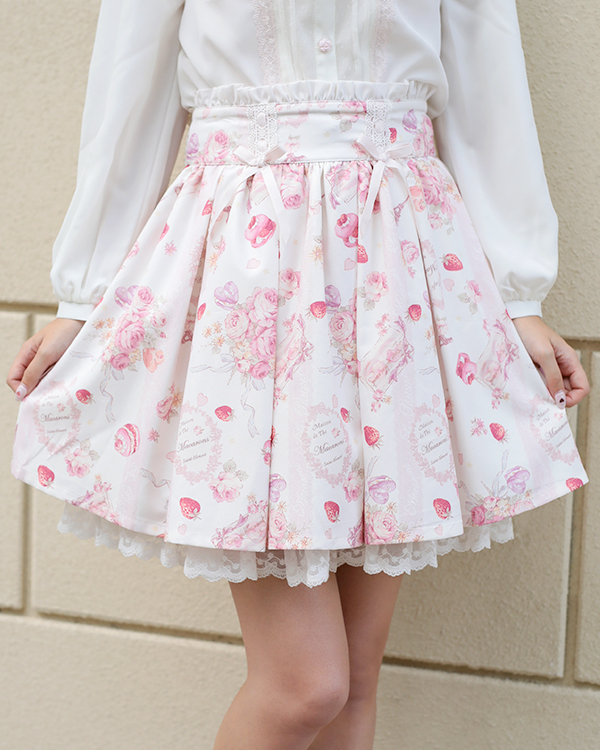 HIT ITEM! 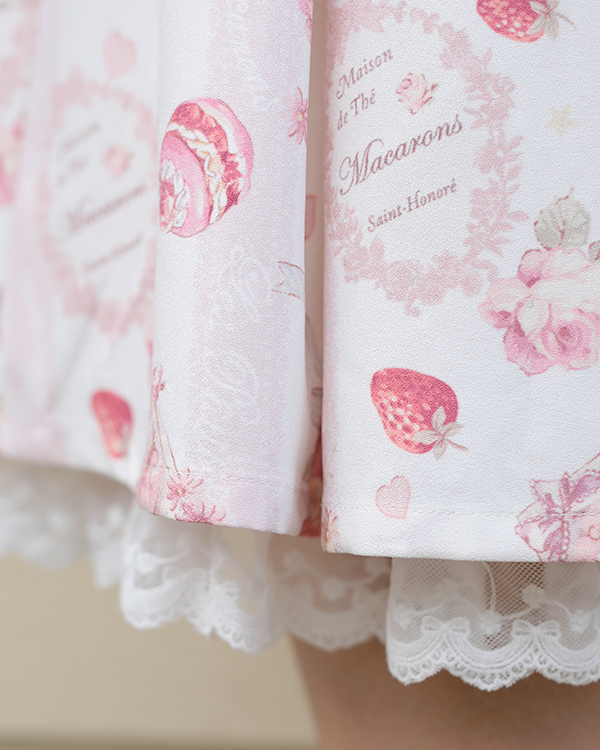 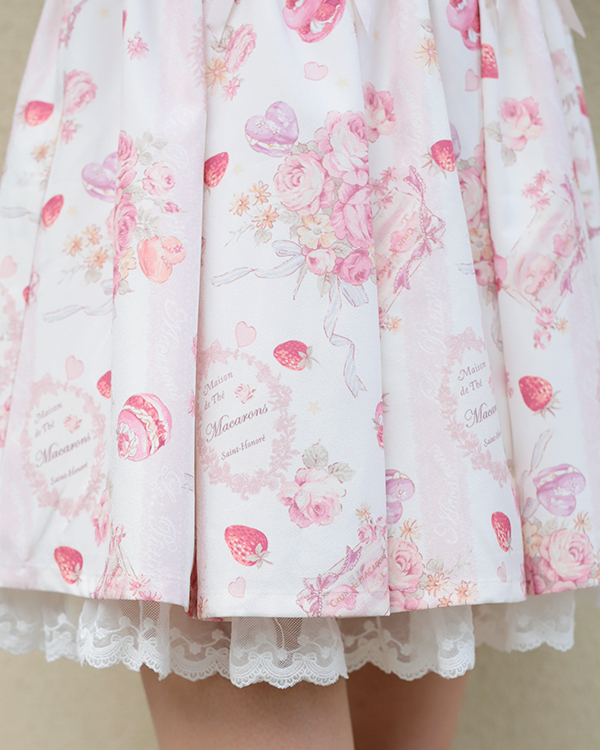 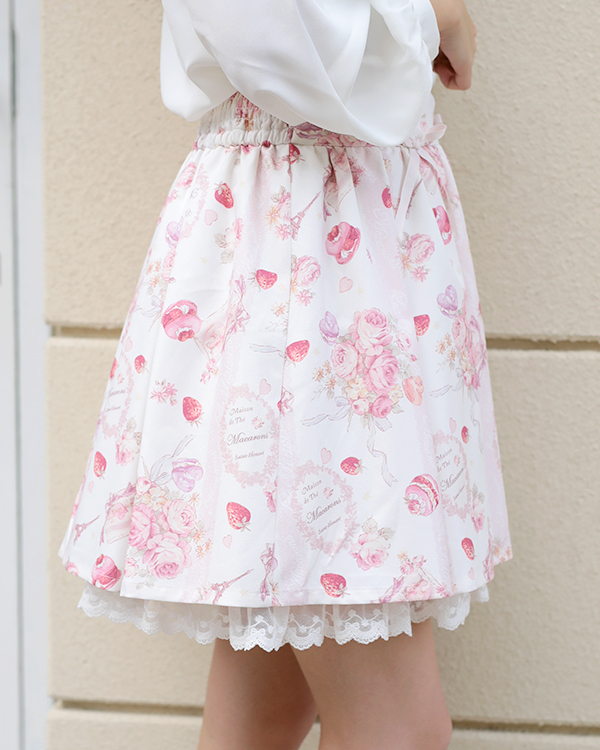 PRE-RELEASED LIZ LISA original print skirt with cute strawberries, Eiffel tower, macarons and rose bouquet details. 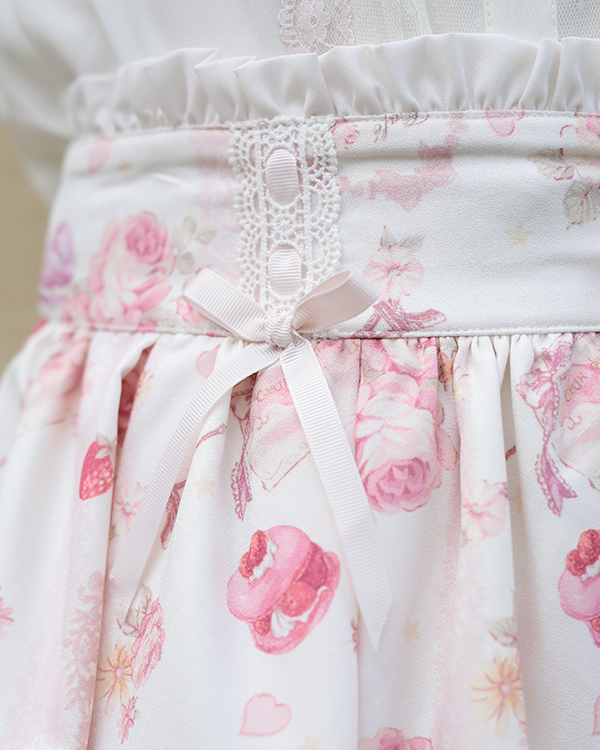 The ladder lace on the waist and the ribbons are the cute details giving a girly touch to your coordinate. 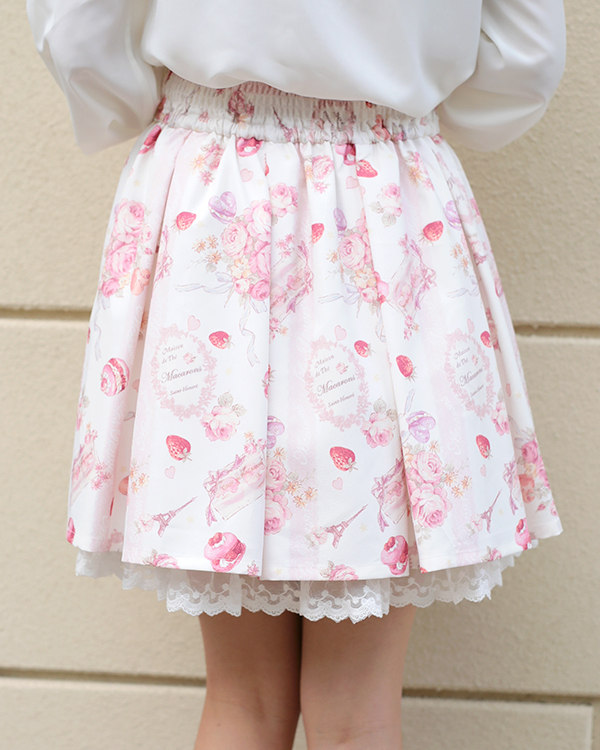 Highly recommended print this winter!